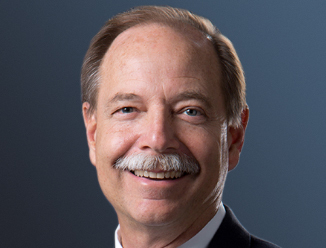 Gary P. Stache has been specializing in investment sales with CBRE for over 38 years. He heads the Investment Properties-SoCal in Southern California, which is a 20-person team plus a 5-person financial underwriting team. Gary is a 36-time Top 10 producer in the Newport Beach office, which is one of the premier offices of CBRE nationally. He is widely recognized as a leading investment properties expert. His expertise is in understanding the capital markets, creating value in an investment transaction, knowing and accessing investors and developing marketing strategies for commercial investment properties in Southern California. Gary has represented numerous institutional and private investors in acquisitions and with the disposition of their assets. Since 2015, the team has been involved in the sale of over 184 investment transactions valued at more than $2.6 billion. The Team has ranked in the top 5 nationally out of 92 Investment Properties teams every year for the last 12 years. Gary and his team bring a broad base of marketing and investment expertise to an engagement. They are recognized as leaders in structuring complex sale and sale-leaseback transaction, in addition to handling the sale of notes and structured equity transactions. Prior to joining CBRE in 1979, Gary spent 3.5 years at IBM. He began his career at IBM as a Marketing Representative and ultimately obtained a management position. During his career at IBM, he was a recipient of numerous regional and national awards.